Available in a 30” (76.20cm) width, simply order whatever length desired (enter running inch length in the Quantity box above). 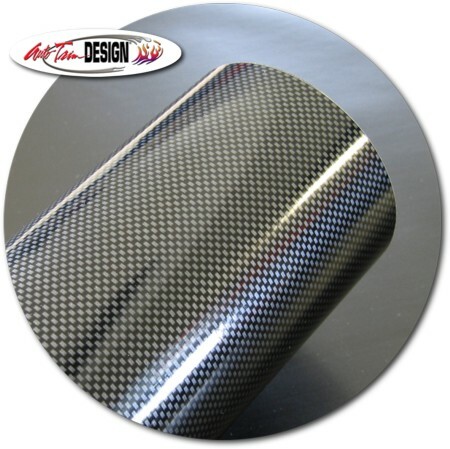 Light Charcoal Carbon Fiber pattern is printed onto 3.5 mil calendered adhesive-backed Black vinyl film and features a tough scuff-resistant surface treatment. For use on flat or slightly curved applications. 2-3 year exterior durability (vertical applications). Ordering Instruction: If you need a 30” (76.20cm) panel that is 96" (243.84cm) in length, simply enter 96 in the Quantity box. Fiber direction of panel runs with length.